One year ago, Matt and I went for a Sunday afternoon fall drive. When we got home, I set the table and started making dinner. I got out a duck breast, Italian plums, a few sprigs of rosemary, and my camera. “I’m starting a food blog,” I announced. It’s probably worth mentioning I just barely knew what this meant. So Matt went downstairs to watch football and I went about making dinner, snapping a few pictures along the way. When it was ready, we sat down and Matt gave me a “whoa this looks good” look and disappeared for a minute, returning with a nice bottle of wine. The next day I sat in a gas station, waiting for an oil change, and penned out my first post. 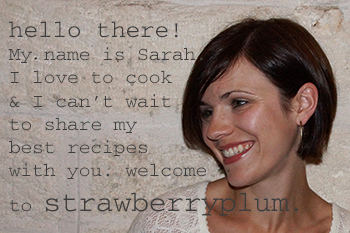 I went home, pecked it out on the keyboard, and strawberryplum was launched. And now it’s been going on for a year. 1 year and over 100 recipes. 1 year of late-night typing, 1 year of teetering on a kitchen chair while taking pictures of food. 1 year of tech woes, 1 year of learning lots of new things. 1 year of good eating. So let’s pause for a moment and look back on the year, celebrate a milestone, and remember a few highlights. What can I say? Y’all have great taste. These are among my favorites of the past year and it’s probably the recipe I’ve remade the most since I originally posted it. I was worried when I posted this, thinking maybe my readers wouldn’t like raw fish as much as I do. I was wrong. 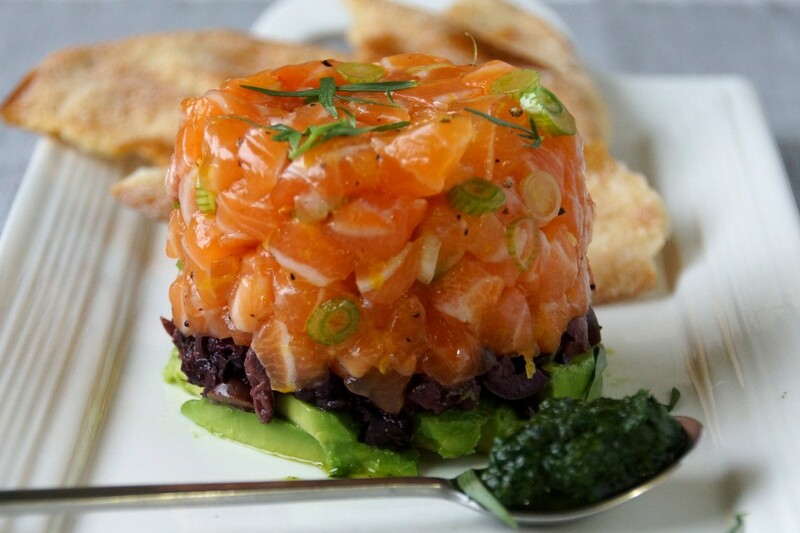 This (delicious) tartare pops up almost daily in my “popular” posts report. 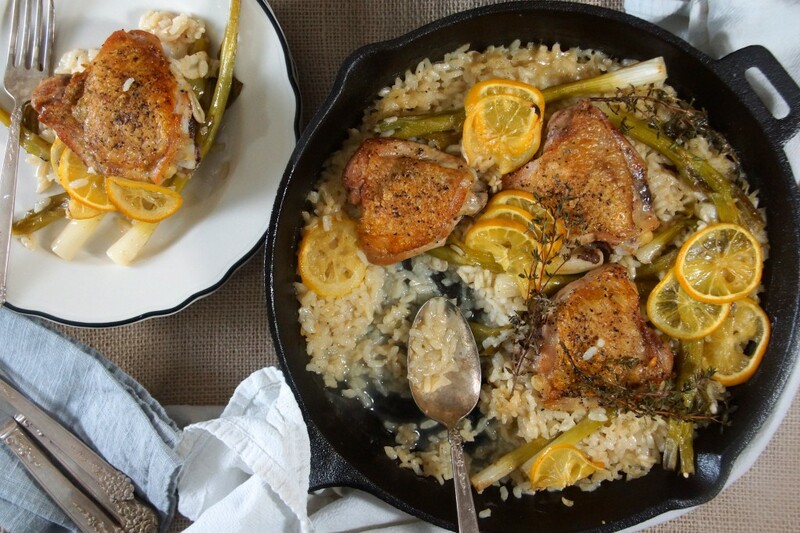 This is a recipe I really didn’t think would get much attention; it’s just chicken and rice. But wait! The rice is actually risotto, it’s insanely easy to make, and total comfort food. Plus, there’s only 1 pan to clean. What was I thinking? Who wouldn’t be into that? I made this during a horrible late-April snowstorm when nothing else could make me happy. I’m glad it made you happy, too! 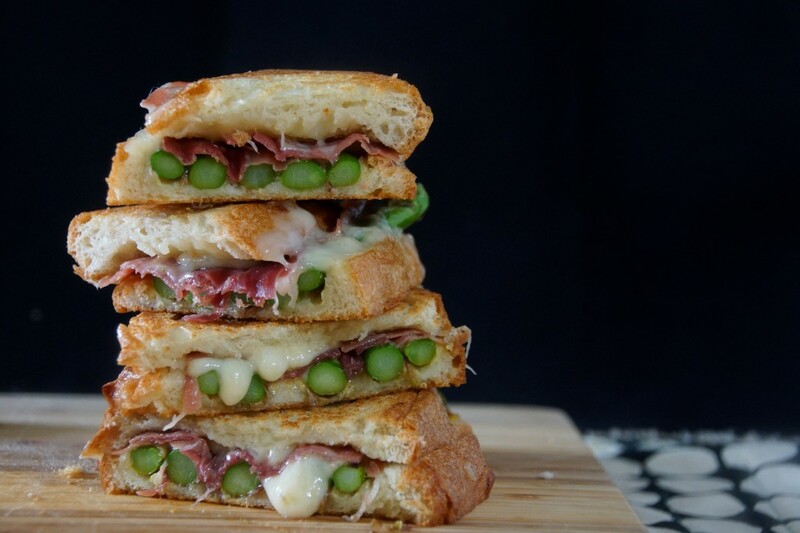 This ooey, gooey sandwich was featured on the Huffington Post, the Kitchn, and FoodPornDaily. 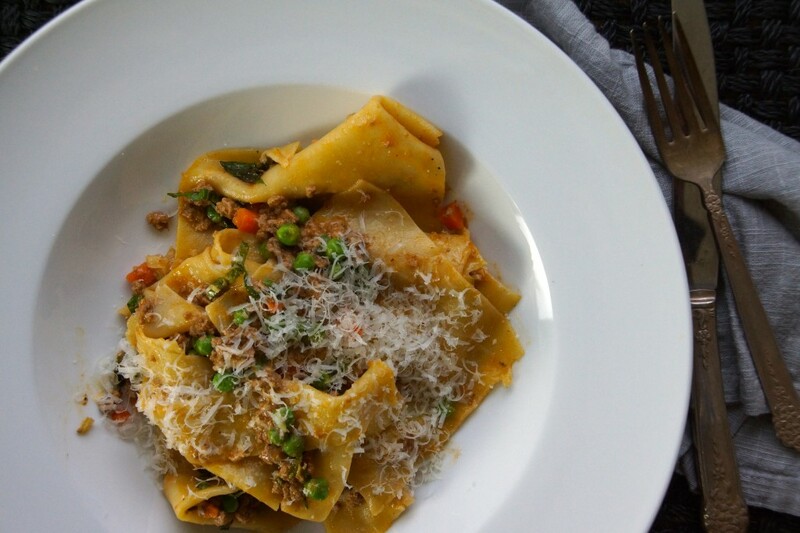 This is just the kind of thing we all love to have simmering on the stove on a rainy (or snowy) Spring day and is perfect with homemade pasta or gnocchi. Now it’s my turn to share my own favorites! Let’s break it down. 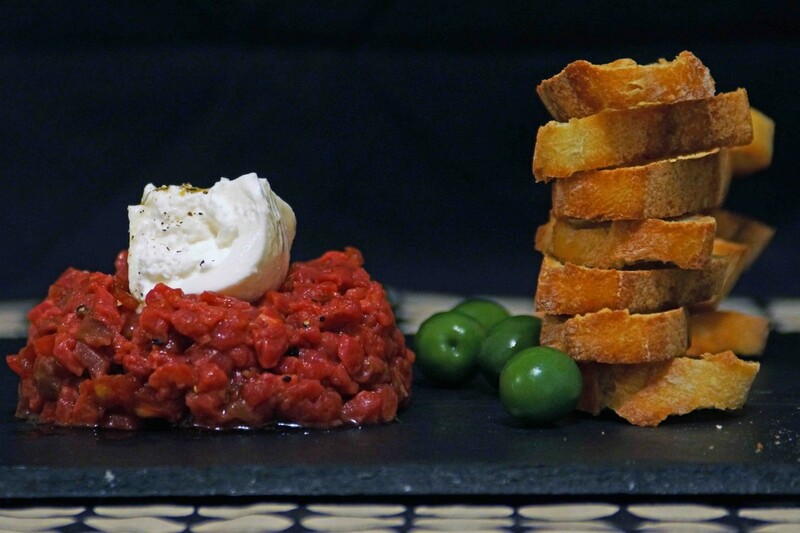 The most fun I had writing a post was probably when I was just barely out of the gate and riffed on an amazing steak tartare I’d had in Rome. Looking back, the pictures were terrible, but it’s fun to be able to chart improvement. …but then I’d be forgetting the Butternut Squash Galette and the Sweet Corn Biscuits. Oh, geez. Perhaps you’ve noticed, I do try to balance all the butter with a few salads along the way. I like making big batches that keep for a few days so I can dip into those when I come home hungry, instead of eating leftover bundt cake for dinner. 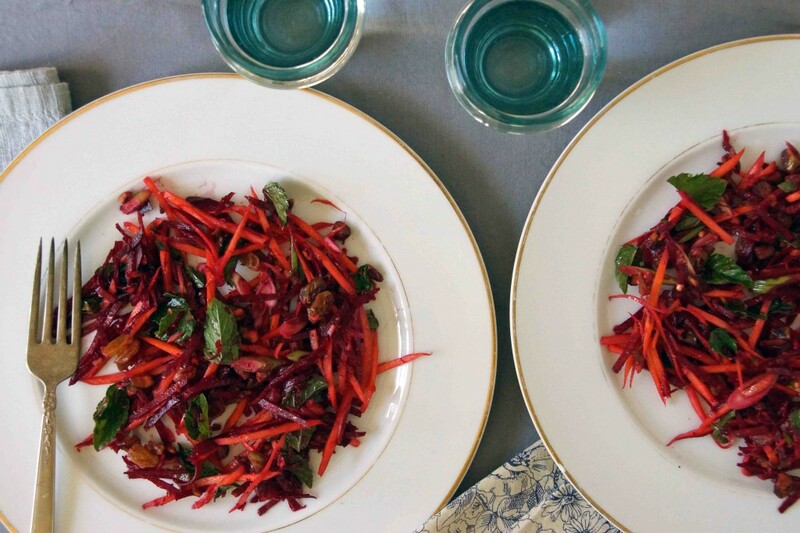 I think I could eat the Beet & Carrot Salad that I made last week every day for the rest of my life and be quite content. 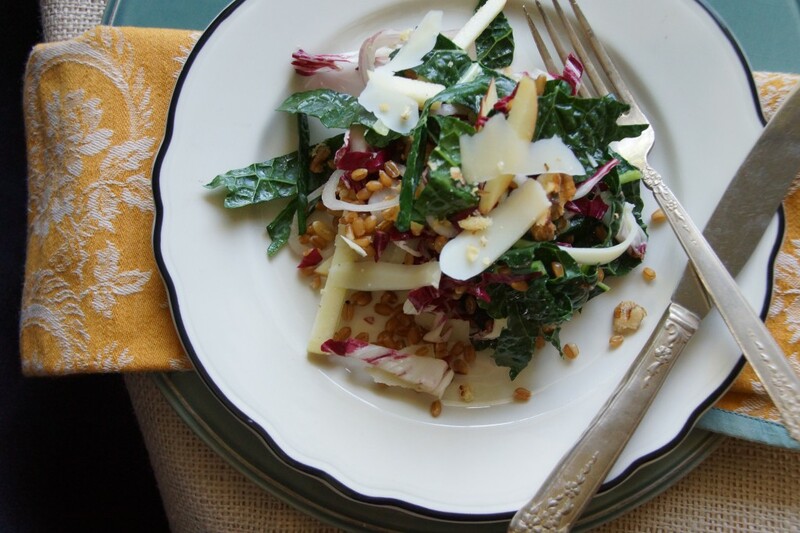 And, if not, my Kale, Radicchio & Wheat Berry Salad would be a decent back-up plan. 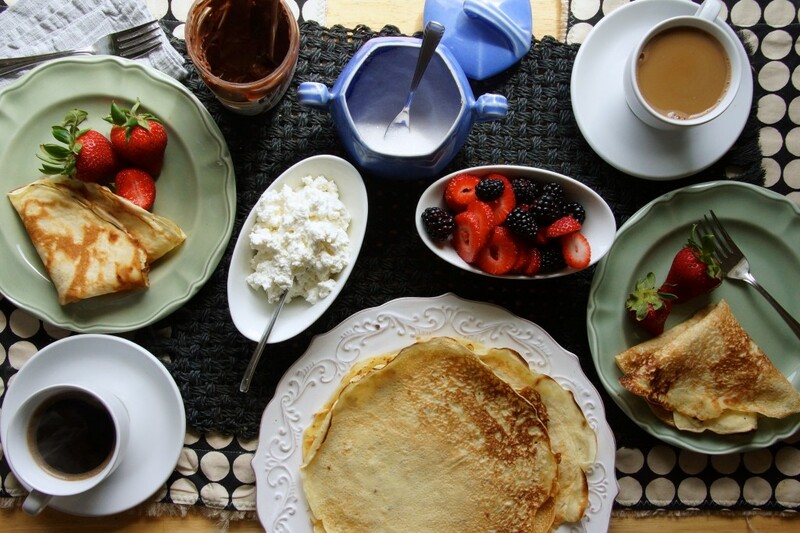 I don’t know if breakfast could get better than Orange, Anise & Sesame Crepes spread with butter and sprinkled with sugar, but, of course, I’ll let you know if it ever does. 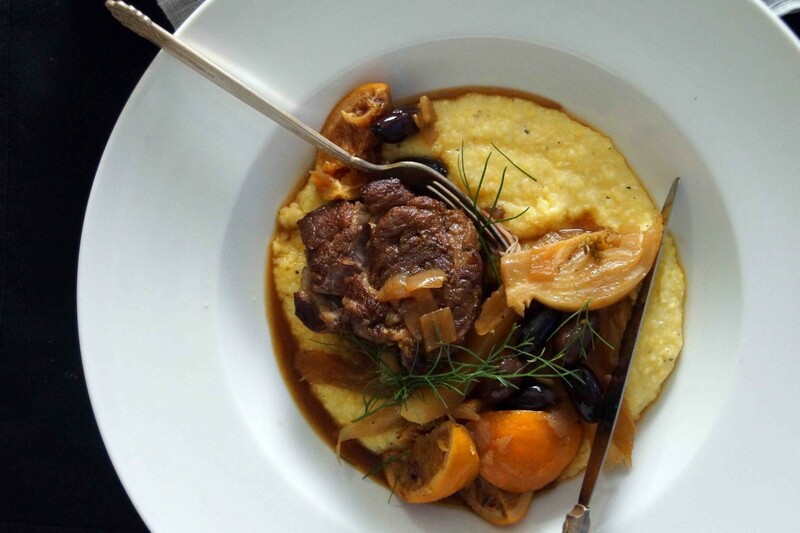 The dish that actually has a teeny-tiny piece of me looking forward to the dead of winter is my Braised Pork Shoulder with Fennel, Oranges & Olives. So good, just so good. And we better end on a sweet note. 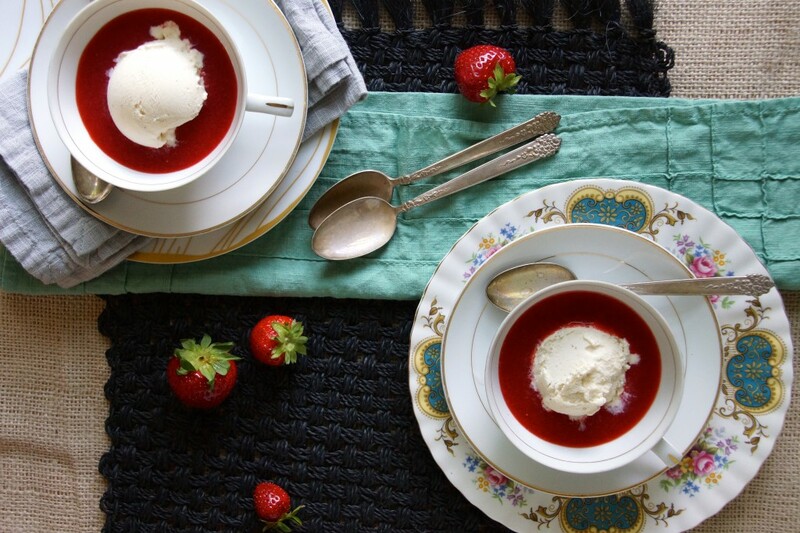 How about Strawberry Soup and remembering a little girl who couldn’t hold back on berry-eating? Thanks for being here and helping me celebrate. I hope you stick around and see what year 2 brings. Happy cooking! I’m not one to comment on the internet, but I’ve made many of your recipes over the last year and you have inspired me to cook on many occasions. 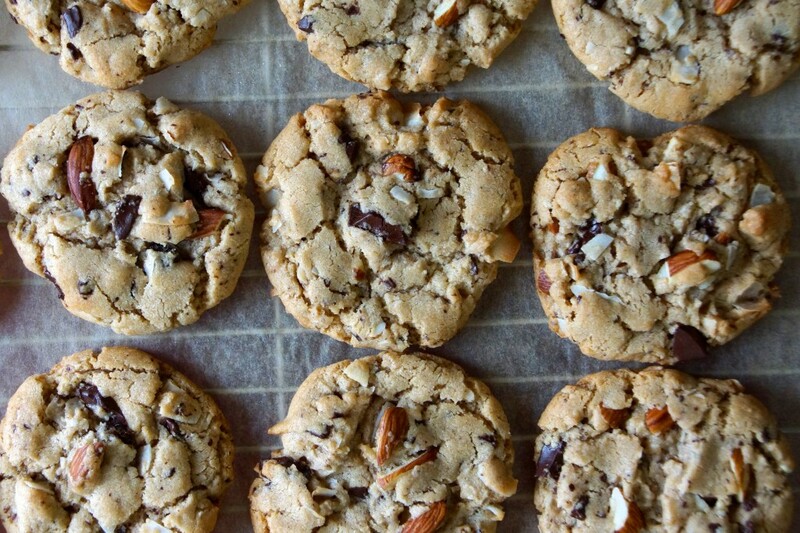 So keep the recipes coming and thanks for posting! Thanks Ambur! And I’m glad to hear I’ve inspired you and others to cook, it’s a big part of why I started this in the first place. Congratulations Sarah! I have to say that I don’t comment much but I look forward to your posts, gorgeous pics and recipes everyday. I have made or been inspired by so many of the recipes you post. Blogging isn’t an easy endeavor but know that what you are doing is greatly appreciated. Keep up the beautiful work you are doing! Thanks for your thoughtful comment, Robin. I fully intend to keep the recipes coming your way! I couldn’t believe it either! I’ve always cooked a lot, but could never remember what I had made or how I had made it so it’s nice to have a record. Thanks for helping me celebrate! Congratulations on your one year anniversary of strawberryplum! We have enjoyed it immensely and look forward to many more wonderful recipes. What a perfect way for you to put your lifelong creativity, talents, and passions together! Who knows what the future holds for you! We love you and are so proud of all you’ve accomplished! Keep it up! Geez…you’re making me blush. Thanks, Mom & Dad. 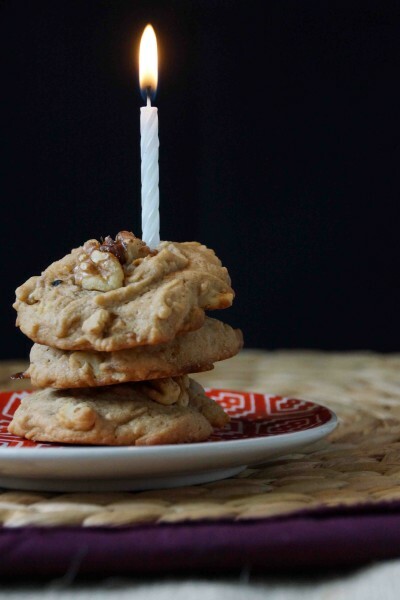 I would also like to congratulate you on your one year anniversary of wonderful recipes! I- like other of your posters- often never comment online but I LOVE your site! 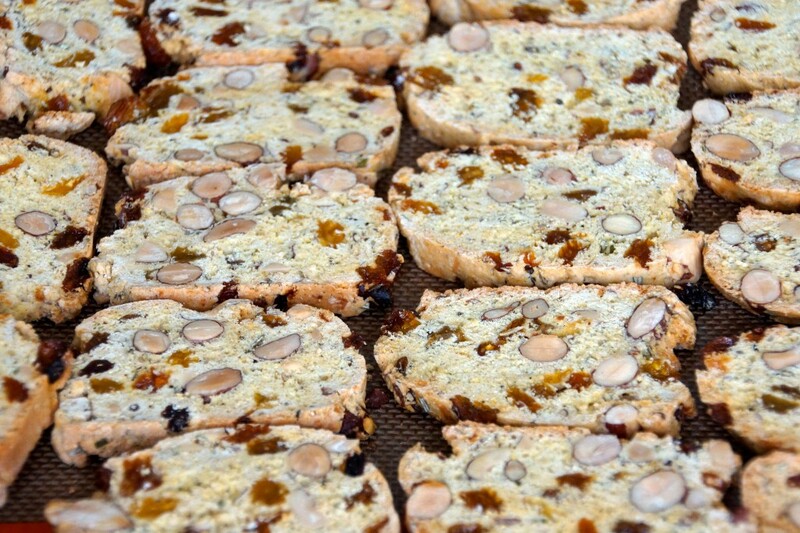 — and have made many of the vegetarian dishes, salads, and sweets. It is always the first place I go to look for a new,delicious recipe. Please keep them coming and the best to you! Thanks for taking the time to write-it’s so much fun to find out who’s reading what I send out into the world. 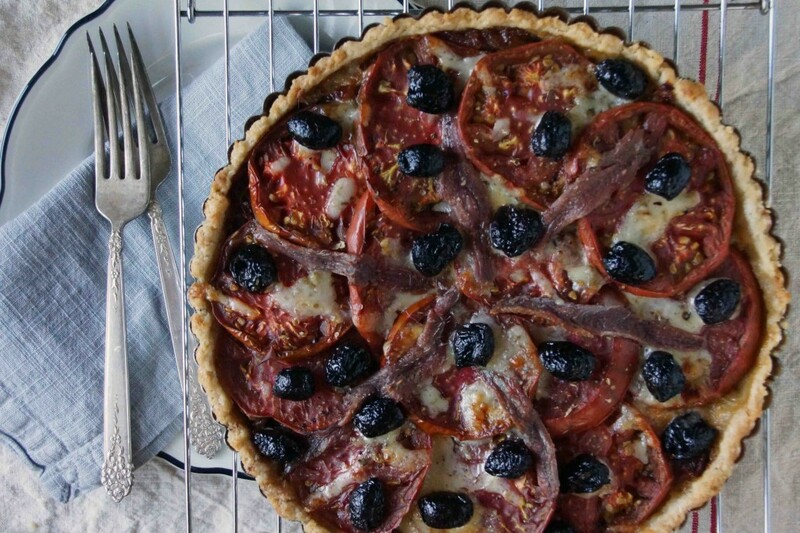 I’m glad you’ve tried some of my recipes and I fully intend to keep them coming your way!